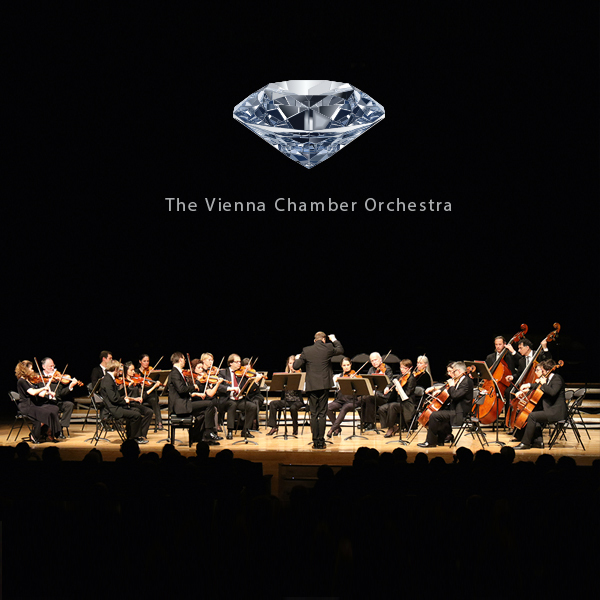 The Vienna Chamber Orchestra was founded in the year 1946. The former chief conductor Carlo Zecchi and the guest conductors Yehudi Menuhin and Sándor Végh were special partners for the Orchestra. Chief conductors of the recent past were Christoph Eberle, Philippe Entremont, Ernst Kovacic and Heinrich Schiff. Since 2004, the Vienna Chamber Orchestra has been working with the associate guest conductor Joji Hattori. In May 2008, Stefan Vladar was appointed the new chief conductor of the Vienna Chamber Orche­stra. Together with him, the Orchestra could again clearly define its national and inter­natio­nal rank. The list of prominent conductors, soloists and singers demonstrates the international importance of the Vienna Chamber Orchestra: Piotr Anderszewski, Martha Argerich, Rudolf Barshai, Lidia Baich, Cecilia Bartoli, Elena Bashkirova, Elisabeth Batiashvili, Teresa Berganza, Ian Bostridge, Rudolf Buchbinder, Joseph Calleja, Thomas Carroll, Gianluca Cascioli, Frédéric Chaslin, Karel Mark Chichon, Jurek Dybal, Richard Egarr, Adrian Eröd, Daniela Fally, Isabelle Faust, Adam Fischer, Dietrich Fischer-Dieskau, Ingrid Fliter, Reinhold Friedrich, Elina Garanca, Hélène Grimaud, Edita Gruberova, Friedrich & Paul Gulda, Theodor Guschlbauer, Clemens & Veronika Hagen, Viviane Hagner, Lynn Harrell, Heinz Holliger, Janine Jansen, Kiri Te Kanawa, Angelika Kirchschlager, Patricia Kopatchinskaja, Mark Laycock, François Leleux, Elisabeth Leonskaja, Oleg Maisenberg, Xavier de Maistre, Sir Neville Marriner, Viktoria Mullova, Anna Netrebko, Gianandrea Noseda, Ernst Ottensamer, Emmanuel Pahud, Vasily Petrenko, Günter Pichler, Thomas Quasthoff, Julian Rachlin, John Relyea, Vadim Repin, Fazil Say, Benjamin Schmid, Peter Schmidl, David Stern, Richard Stoltzman, Antoine Tamestit, Uto Ughi, Maxim Vengerov, Stefan Vladar, Radovan Vlatkovic, Jörg Widmann, Hanna & Bruno Weinmeister and Thomas Zehetmair. The Vienna Chamber Orchestra plays a number of concerts in the Vienna Konzerthaus. In addition to hosting the series of Matinees and International Prizewinners, it appears as a guest in the Symphonie Classique and Voices concerts in the Main Hall of the Vienna Konzerthaus. It is also a guest at the major festivals and concert halls worldwide. Amongst a number of other important international engagements, the Orchestra has repeatedly been invited to Princeton (US). The international reputation of the Vienna Chamber Orchestra is documented by worldwide tours and its regular appearances in virtually all major European cities.